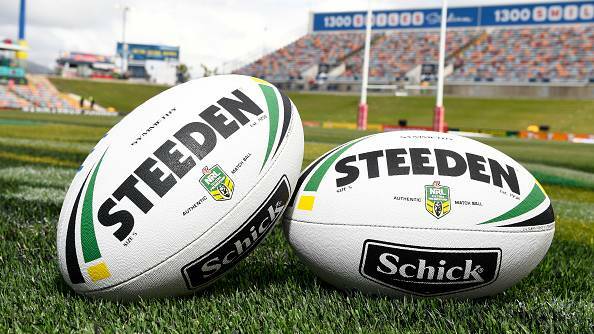 The NRL season is heating up and there are some mouth-watering matchups including the Sharks and the Roosters from Shark Park, followed by a Sunday matinee between two 3-1 teams, the Raiders and the Eels. Nothing went the way of the Titans last week in New Zealand. Gold Coast didn’t get out of the gates until after half time, and although the Titans made things interesting with two early second half tries, the damage had already been done as Garth Brennan’s side fell by 16-points. The Panthers found themselves in a much more evenly matched battle at home against the Tigers. It took Penrith 78-minutes to crack the scoreboard, but that’s all it took for the Panthers to go on and win in golden point fashion to delight the home crowd. Looking ahead to this week, we could be in for a real close one. The Panthers have won four straight over the Gold Coast, but fans would do well to remember last year’s epic 17-16 win in Round 22. Titans: Prop Shannon Boyd has been ruled out after pulling up with hamstring soreness after Thursday’s captain’s run. His place on the bench is taken by Jai Whitbread. Better news for five-eighth Tyrone Roberts, who got through the captain’s run and is expected to play. Ryley Jacks was omitted 24 hours before kick-off. With Moeaki Fotuaika suspended, his place on the bench is taken by Max King. Panthers: A notable switch for the Panthers, with Ivan Cleary swapping Dallin Watene-Zelezniak and Dylan Edwards. DWZ will play fullback, with Edwards on the left wing. Tyrell Fuimano is the new face on the bench, with Viliame Kikau named to start in place of the injured Frank Winterstein (knee). Wayde Egan and Liam Martin were omitted 24 hours before kick-off with Egan’s spot on the bench being taken by Jarome Luai. Each of Penrith’s last eight Friday away matches have gone OVER the total match points line. Gold Coast has lost 11 of its last 12 night matches. AJ Brimson has been the first try-scorer in each of Gold Coast’s last two matches as an underdog at Cbus Super Stadium. Waqa Blake has scored at least one try in six of Penrith’s last seven away matches. The Melbourne Storm will look to keep their unbeaten start to the season alive when they travel to face the North Queensland Cowboys on Friday night. Townsville certainly isn’t the fortress it once was with the Cowboys having conceded 84 points in their three home matches during 2019 and holding just a 6-9 W/L record at 1300SMILES Stadium since the beginning of last season. The Storm have won eight straight over the Cowboys and sit on top of the table as the only undefeated team heading into Round 5. Cowboys: Paul Green has resisted the urge to make wholesale changes despite a tough 1-3 start to the season. Javid Bowen is out of the side and his place is taken by Ben Hampton, who shifts from centre to wing. Enari Tuala will make his first NRL appearance of 2019 in the centres. Justin O’Neill and Peter Hola were omitted 24 hours before kick-off. Storm: The suspension of winger Suliasi Vunivalu and an injury to centre Curtis Scott (shoulder/virus) has forced a backline reshuffle. Marion Seve moves to the centres, while Ryan Papenhuyzen comes off the bench onto the wing. Josh Addo-Carr returns on the other wing after missing last weekend’s game for personal reasons and that sees Will Chambers move back to the centres. Sandor Earl remains listed on the extended bench, but Patrick Kaufusi and Albert Vete dropped off at the 24-hour mark. Gavin Cooper has scored a try in eight of North Queensland’s last nine matches as an underdog. Melbourne has won each of its last eight matches against North Queensland. Ten of Melbourne’s last 11 interstate matches have gone UNDER the total match points line. Cameron Munster has scored a try in each of Melbourne’s last two matches. Josh Addo-Carr has been the first try-scorer in two of Melbourne’s last four matches against North Queensland. ough to work out how the Bunnies lost to Manly last week. South Sydney controlled possession and played the cleaner brand of football, but unfortunately, none of that converted into points on the scoreboard. Unlike the Rabbitohs, the Warriors reaped the rewards for their hard work against the Titans, securing a much-needed victory to remain on the fringe of the Top 8. These two sides have combined for some real lively affairs in recent years, with the Total going well over 50 points in four of their last five. The Rabbitohs have won three of the last five, but even so, still look a little under the odds at this price after last week’s shortcomings. It’s still only early, but New Zealand need to find the same form they had on the road last year. The Warriors were a force to be reckoned with in Sydney, but their 34-6 blowout loss to the Tigers in Campbelltown back in Round 2 was a far cry from the team we once knew. Rabbitohs: No changes expected for the Bunnies with Kyle Turner named in the centres and Liam Knight back from suspension. Jacob Gagan was monitored throughout the week for concussion and cut from the squad on Friday with Rhys Kennedy. Souths have won seven of their past eight games against the Warriors. Warriors: Issac Luke will be given every chance to play against his former club. Luke missed last week with a hamstring injury and has been named in the reserves. Jazz Tevaga successfully beat his dangerous contact charge and will take his place in the line-up. If Luke makes the final cut, Karl Lawton is set to drop out of the side. Adam Keighran and Liligiifo Sao were omitted on Friday afternoon. South Sydney has failed to cover the line in each of its last six Saturday matches. Each of South Sydney’s last five day matches have gone UNDER the total match points line. Alex Johnston has scored at least one try in three of his four previous appearances against New Zealand. Peta Hiku has scored five tries in his last five regular season appearances against South Sydney. Following three straight losses, the Newcastle Knights are looking to turn their fortunes around as they host the Manly Sea Eagles at McDonald Jones Stadium on Saturday evening. The Knights succumbed to the Dragons 13-12 in golden point on Sunday, making it a combined margin of just 10 points during their three-match slide. The Sea Eagles were on the other side of a golden point result on the weekend as they overcame the previously unbeaten Rabbitohs by the same scoreline. The Knights have edged out the Sea Eagles in each of their last two contests, including winning in golden point at home during Round 1 last year. Knights: James Gavet returns from a sternum injury at prop, with Tim Glasby shifting back to lock and Mitch Barnett moving to the bench. Josh King goes back to the reserves. Sea Eagles: Tom Trbojevic (hamstring) is set to miss nine weeks, forcing Des Hasler to put Brendan Elliot back to fullback and promote Moses Suli to start in the centres. No other changes to the team that beat Souths 13-12 last week. Manly has won six of its last seven matches as an underdog following a home win. Each of Manly’s last nine Saturday away matches have gone UNDER the total match points line. Edrick Lee has scored at least one try in seven of his last eight appearances at McDonald Jones Stadium. Manase Fainu has scored a try in each of Manly’s last three matches. The usually stingy Sharks defence was far from its old self last week against the Eels, surrendering an opening seventh-minute try to Marata Niukore before the floodgates opened in the second half. Cronulla’s attack isn’t a strong point right now, and when faced with a side that can dominate around the opposition’s try-line, things get a little dicey. Not that we needed convincing, but the Roosters proved they are one of those sides last week in their 36-4 demolition over the Broncos. Sydney have enjoyed an extra couple of days rest leading up to Sunday’s game, and it appears the bookies want no part of the Sharks at this price. Cronulla are 4-4 as the home underdog against the Roosters, so it’s not surprising to learn the Sharks have lost three straight to Sydney. The Roosters will need to be careful this weekend on attack, though. The Sharks are one of few teams capable of disrupting their organized sets, but if there’s two experienced players worth trusting to get the job done, it’s Cooper Cronk and James Tedeseco. Sharks: Five-eighth Shaun Johnson (quad) and skipper Paul Gallen (ribs) have been named to return after missing the loss to the Eels. Kyle Flanagan, who came in for Johnson, is back to the reserves, while Gallen’s replacement Jayson Bukuya reverts to the bench and fills the hole left by Aaron Woods (broken foot). Roosters: A boost for the red-hot Roosters with Jared Waerea-Hargreaves back after missing last week’s win over the Broncos with a rib injury. Zane Tetevano drops back to the bench, while Nat Butcher moves from the bench to the reserves. Cronulla has won each of its last five Saturday matches as an underdog following a loss. Cronulla has covered the line in each of its last nine home matches against reigning premiers. Ten of Cronulla’s last 12 home matches have gone OVER the total match points line. Josh Morris has scored at least one try in three of his last four appearances against Sydney. Mitchell Aubusson has scored at least one try in three of Sydney’s last four matches. You can hardly call last week’s 13-12 win over the Knights dominant, but the Dragons got the job done to remain just one step away from securing their spot back inside the Top 8. The Bulldogs, on the other hand, put up a very impressive fight against the Storm in Melbourne last week, and even though Dean Pay’s side didn’t come away with the points, Canterbury has to take heart in the fact they put together two consistent halves. These two sides met twice last year earning one win apiece. The most notable game was the Dogs’ 38-0 win in Round 24, a game the Dragons would have had circled all offseason. Dragons: Tyson Frizell will start after coming off the bench in his return from injury last week, while Jacob Host moves to the bench. Luciano Leilua is the new man on the bench as a replacement for Korbin Sims (broken arm). Bulldogs: Ofahiki Ogden has been named to start at prop in place of injured Dylan Napa (ankle). The only other change to the team beaten 18-16 by Melbourne was Sauaso Sue’s selection on the interchange bench. Both teams go over total match points in 50% of matches this season. Both teams average 40.5 match points. Clashes at Netstrata Jubilee Stadium average 52 total match points. The average winning margin at Netstrata Jubilee Stadium is 16 points. It’s only fitting that two sides fresh from convincing Round 4 victories meet in the final game on Sunday. The Eels were always great value against the Sharks last week, and they didn’t disappoint in the 24-12 win. Likewise, the Raiders also saluted at a handy price against the Cowboys, earning their third victory on the year to now sit third on the ladder. The Raiders will find confidence heading into this week’s game knowing they’ve won five straight over the Eels dating back to 2016. This is a different Parramatta side compared to last year though, and Canberra only need to peak down the ladder to find out why this weekend’s game is such a big deal. Raiders: A boost for Ricky Stuart with Kiwi back-rower Joseph Tapine set to return from a thumb injury on the bench. Aidan Sezer has been named among the reserves as he looks to return from an injured abdominal muscle. Eels: Good news for Eels fans, with zero changes to the team that beat the Sharks 24-12 last week. Parra are aiming for their fourth win from five games. The Raiders go under total match points 80% in games this season. The Eels score the 1st try in 60% of their matches. The average winning margin at GIO Stadium is 7 points.